As a parent of four young kids, I often find myself wondering what I'm going to do with them for the summer when they get out of school. 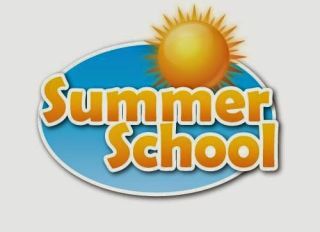 When thinking about this and looking over many options, I noticed lots of Ed Tech companies have started to offer online summer programs/camps. This is a fantastic way (and often inexpensive) for students to spend time in the summer and help prevent summer learning loss. Here, then, are 9 excellent educational programs that students can take online. This list is in alphabetical order. EverFi - Called Vernao, EverFi will be launching this summer digital learning camps to help students in all areas of math, literacy, STEM, and more. K12 - Offers a wide variety of online courses for HS students as well as foreign languages. SpellingCity - A great program for grades 1-12 that focuses on vocabulary, writing, and spelling using game-based learning. TenMarks - A excellent online program for all areas of Common Core Math through engaging videos/instructions with real-time interventions. Time4Learning - A fantastic online curriculum for PreSchool through 12th grade that can be used for summer learning in a wide variety of subjects. **Tynker - Based on the popular iPad app, Tynker offers one week long summer camps help students grades 3-8 learn how to program/code. **Voyager Learning - Great resources/programs for K-12 students looking for summer learning help.